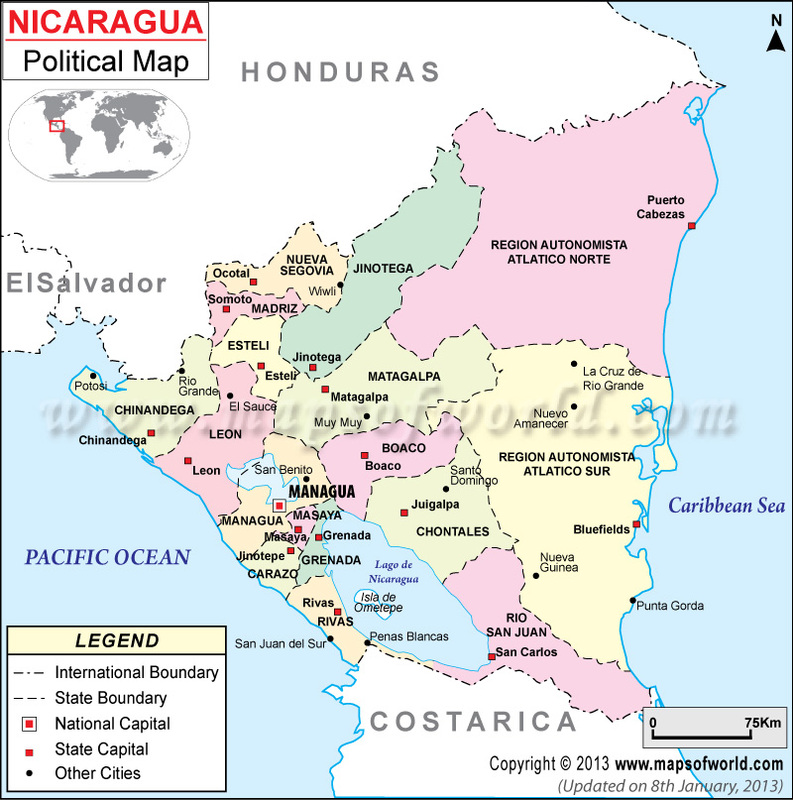 Out of the 15 departments of Nicaragua, Chinandega is one of of the very popular ones. Bordering the Honduras, the area covered by Chinandega is 4,926 km. Located on the north western coast of the country and surrounded with beautiful landscapes, the place serves as a perfect holiday destination, attracting tourists from all over of the world. The main attractions of Chinandega are its beautiful coast, forests and volcanoes. The unruffled waters of the ocean under the beaming sun casts a magic spell on the viewers. The other areas of interest in Chinandega are the Corinto and Jiquilillo beach and the inlet of Paso Caballo. Out of the four volcanoes in Chinandega, the dormant volcano that lies to the north of Chinandega, has been declared as a natural reserve. On both sides of the crater there are dense slopes along with a lagoon inside the crater. Viewing the Gulf of Fonseca, Honduras and El Salvador from the top located at a height of about 859 m, is an ecstatic experience. Moving southwards one can locate the three volcanoes of El Chonco, San Crist and El Apante. Padre Ramos is another natural reserve known for its ecosystems. Agriculture is an important part of Chinandega. Other than bananas, shrimps, salt and peanuts, it also produces rum from sugar cane. The main activities in Chinandega are hiking volcanoes, swimming, fishing, snorkeling, and scuba diving. Horse riding through the beaches and the forests, or boat riding on the Gulf of Fonseca is equally thrilling and adventurous.